If you’ve been following my social media, you’ll know that last week I travelled with Ben Paley, Roger Wilson and John Spiers to play three shows in China. 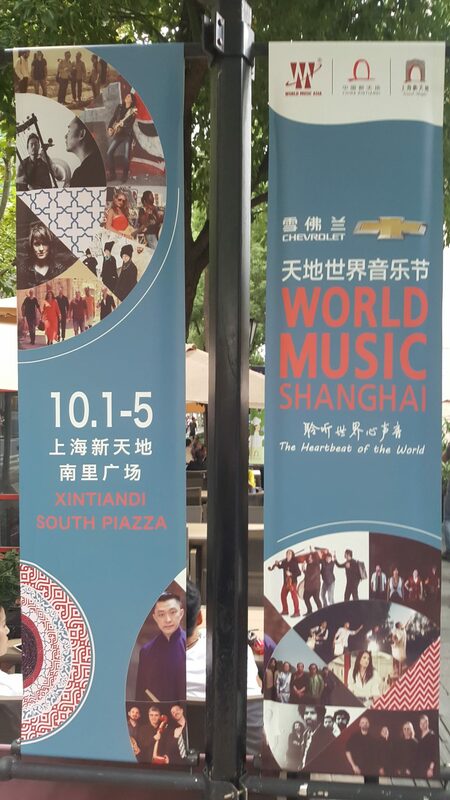 Open air, city centre stages, Huiming Culture Communication brought world music into the heart of Wuhan and Shanghai. But why did we go, it's just a gig, why was it such a big deal? We didn’t have much time to connect with other bands as our schedule was so full, but the sound checks and snippets of gigs I heard were amazing, these were serious musicians making innovative contemporary traditional musics – no generic, touristy money-makers here. We were the only English act, and I recognised the plight of the universal touring musician: We may be carrying an oud, a kora, or a melodeon, but we were all hanging around waiting to sound check. One evening had a distinct sense of Celtic Connections about it, with groups of bands sitting around a soulless hotel foyer, mingling here and there to exchange musical ideas and a beer or two. Inventively produced by Tian Wang, employee of Huiwang Cultural Communications who oversee multiple festivals, the organisation was impeccable. Despite being thrown instruments from literally all over the world and the obvious language barriers, tech crews did exactly what was needed, including building the best stomp box I’ve ever seen. The main workforce though were volunteers, mostly students. The whole event felt very youth-led, the festival office was in a hotel bedroom hangout space, with take away wrappers strewn everywhere. Our guides, Betty, Luna and Victor, had very good English, which was useful because there is generally little spoken, and my Chinese has quite some way to go. They were enthusiastic, dedicated and helpful; they were also our biggest fans – especially the group in Wuhan who had been listening on repeat to the only two tracks available in China. They were so excited to meet us, we arranged a version of ‘The Weavers Daughter’ to play in the set. This raises an issue of trying to connect with Chinese audiences – accessing information and music. While they could buy my CDs after the gig, as far as I know there is no other way to get them elsewhere, or to hear of new releases or tours. There is no Amazon; no Facebook, Twitter, or Instagram; no Soundcloud, or connection to my personal website – the Chinese government tightly control what media is available. While I was there, I set up an account on the approved equivalent, We Chat, so I now have a good number of Chinese followers to share information with, and yet another social media page to keep updated…. All in all, we spent 42 hours in airports or in the air, for 3 x 45 minutes on stage. That doesn’t seem like a very productive use of the world’s resources, but the impact of the trip went deeper, both as personal experience (I ate frog! ), and as a step to engaging more in the future. 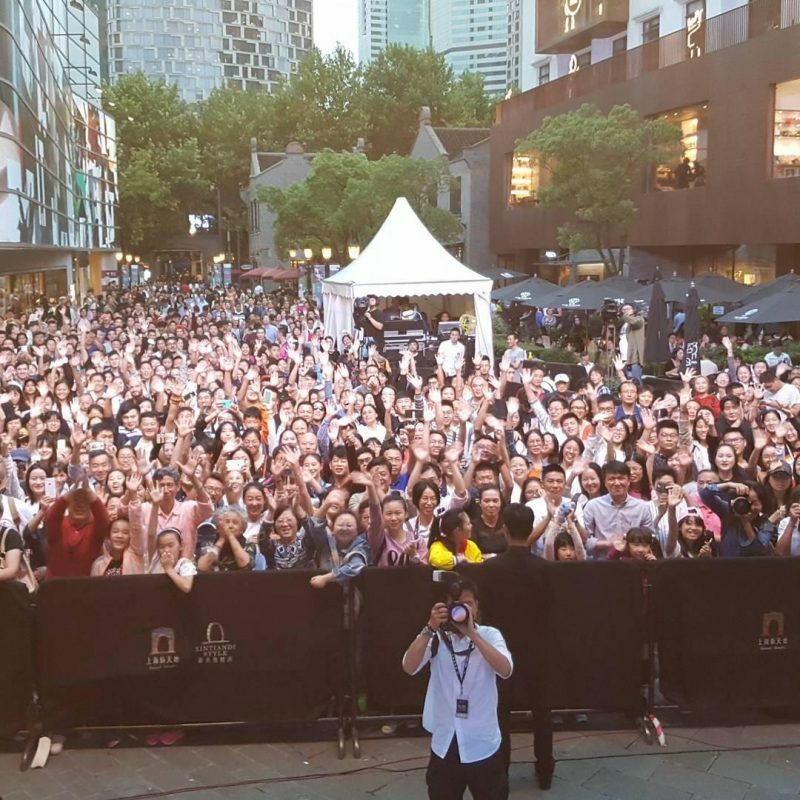 I made good connections with local managers wanting to develop touring in China, and the reception by audiences shows that there is real potential for sharing English music to enthusiastic Chinese listeners. Although international touring is a great feather for my cap/CV, it doesn’t feel like we are going global. Rather, I have one audience on this side of the world, and another in China. I can’t foresee how these worlds could connect as one fan base just yet, though it is early days and certainly something I am interested to explore. This begs the question: Why? Nice paid holidays for me and the band? A good money-making venture if we sell a pile of CDs? Or is there an important act of sharing going on, working on the assumption that it is good to connect with other cultures, to learn from one another and build understanding? What do they get from us? From my recent research with Sarah Price into English audiences of traditional songs, connecting with the material and understanding why the singer loves the song are central to enjoyment – in this context these can be difficult to communicate, but there is clearly more going on. There is certainly an interest in English cultural tradition, and they seemed to enjoy the sounds we made, but there is also a desire to connect with the rest of the world. I know some people at home were disappointed that we went to play in a country which has such tight governance, they felt we were supporting the regime. But if their day-to-day life is so separated from global concerns through media control, could international touring and joining Chinese social media systems go some way to helping to connect – participating in their systems rather than maintaining the blocks they have in accessing ours? We were the only English act on the books, I didn't see any Irish, Scottish or Welsh artists while we were there, but it was a big festival. We met Greek, Lithuanian, Senegal musicians and a number of American artists with different cultural backgrounds. The full line up can be seen here: http://hmculture.com/en/MusicFestival2017/. There are some Mediterranean / West European bands, but I wouldn't say they dominate. The Chinese musicians listed seem to blend their local styles with international influences which may be the point you are making? In terms of appreciating other musics instead of Chinese, I notice the Chinese acts appear first, suggesting they are celebrated, but the volunteers and friends I spoke to there didn't suggest people were generally enthusiastic about participating in their local folk traditions, preferring to watch (exotic) professional performers. I lived in China for about a year in 2010-2011 . Careful where you're going with your discussion here - although you talk about sharing, what you're describing is a one way street. It sounds a bit like the subliminal attitude I went out to China with - I, a European from a democratic country, could potentially so much enlighten and help these poor oppressed people trapped in 1984-like conditions. Nothing wrong with wanting to gain an audience in China, but if you do want to dress it up in nice language, don't leave off the underpants. What have you learnt about Chinese culture? What Chinese ideas and traditions have stirred your consciousness? You're absolutely right, thanks for highlighting this. I work with a lot of Chinese students at the University in Sheffield and have been struck by the significant cultural differences and the process many undertake to acclimatise to 'our' way of teaching and living. One thing I really wanted to get from going to China was to understand more about where they come from and how they work and think so I can meet them more like half way to support their studies. There are elements of the Chinese infrastructure I find difficult to agree with, but as a culture, and as people, there are many interesting, alternative and impressive things we can learn from them. In terms of the volunteering system and student dedication and engagement, this was unlike anything I have experienced with volunteers at English festivals. Coupled with the high finance/big industry/cultural tourism agendas behind producing the festival, it brought a very different approach to organising traditional and folk musics than I am used to in our more typically enthusiast-led approach. Of course I was only there for 3 days, this is not a comprehensive study! I also have a colleague Shu Jiang who teaches at the conservatoire in Shanghai and we are talking about getting me in for a talk with her students next year. Again, this appears one directional, and perhaps I am being naive with my colonialist background, but I hope that connecting with these groups will teach me more about how they work and exploring what they find interesting about our music in relation to their own ideas can open a dialogue. Chinese musicians were involved in the festival, though we weren't on the same bill so I didn't see them perform. As we were only there for such a limited time, with such a full performance schedule, this wasn't a chance for collaboration. I do hope this trip has opened that door a crack though that such things may develop in the future, for me, or other English musicians. Thanks again for raising this - a really interesting post, and important to think about more carefully. dear Fay: I was tagged to this by Ben Paley. I have been interested in the differences between national folk cultures of various nations for some time, and noticed your mention of research into the make-up of English audiences of traditional English folk music. Do you have any links to published material? We have one article about methods on the topic (link below), and are currently working on another article more data focused. I'll share the news once it's published through facebook/twitter, so worth a follow there, if you do that kind of thing. I'd be interested to hear about your work too - what do you do, any links? © Copyright Fay Hield 2019. All rights reserved.